On Tuesday 24th October, Destiny 2 finally launched on PC. 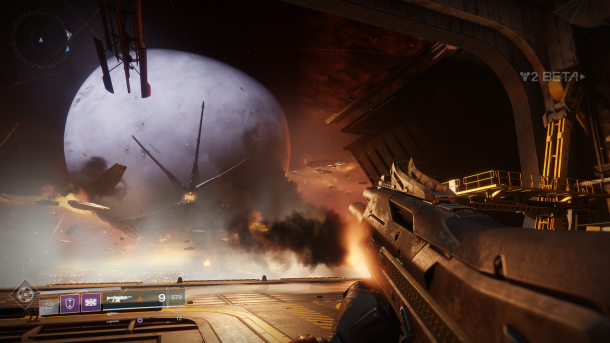 One of the most anticipated releases of the year, Bungie’s platform debut became gained even more interest following an incredibly successful beta test. By all accounts, the open-world FPS performed brilliantly and looked gorgeous on a wide range of hardware. I appreciate that Bungie wants to protect the integrity of its game, but there are several problems that I have with the way they carried out this action. Firstly, the banwave was enacted without an accompanying statement to describe what was happening and how many people were impacted. Instead, the various communities and enthusiast press were left to speculate on possible causes, forcing Bungie to release a statement. I’m surprised that the studio didn’t learn from Activision stablemate Blizzard, who are well-versed in managing this process from their experience with Overwatch and World of Warcraft. Secondly, the banwave appears to have been performed in haste. Bungie’s statement points out that no players have been banned automatically, and that accounts have to be reviewed manually. And yet, can the studio be confident that the process is foolproof and no mistakes have been made? Thirdly, and here’s the significant oversight: there’s no appeal process. Tools to detect malicious behaviour are imperfect, and false positives do happen. Likewise, humans are prone to making mistakes, particularly when working to tight timescales. The lack of an appeals process smacks of arrogance, and is again something that should have been learned from Blizzard. It’s slightly heartwarming that Blizzard seems to be offering refunds to those who bought Destiny 2 through the Battle.net store, but that doesn’t help those who got a free code from a promotion or similar. Likewise, invoking a credit card chargeback risks having your entire Battle.net account suspended, which some will immediately rule-out doe to the other Blizzard games in their collection. Ultimately, Bungie’s actions have an inexperienced and knee-jerk appearance, rather than the considered and calculated approach of a developer who knows it’s not infallible but is trying to do the best for its community. The situation is made worse by not tapping into expertise that was readily and easily available, and could have mitigated the whole sorry mess. As it is, PC gamers might feel like they’re playing the best version of Destiny 2. But they’ll also be feeling nervous that there’s a trigger-happy staffer just waiting to ban them without any chance to appeal. For a genre that lives or dies on its community, this is entirely the wrong message to send out. This entry was posted on Thursday, October 26th, 2017 at 11:20 am	and is filed under General Gaming, MMO Musings. You can follow any responses to this entry through the RSS 2.0 feed. Both comments and pings are currently closed.